Wondering how to clear up acne? The so-called acne diet might be the best place to start. 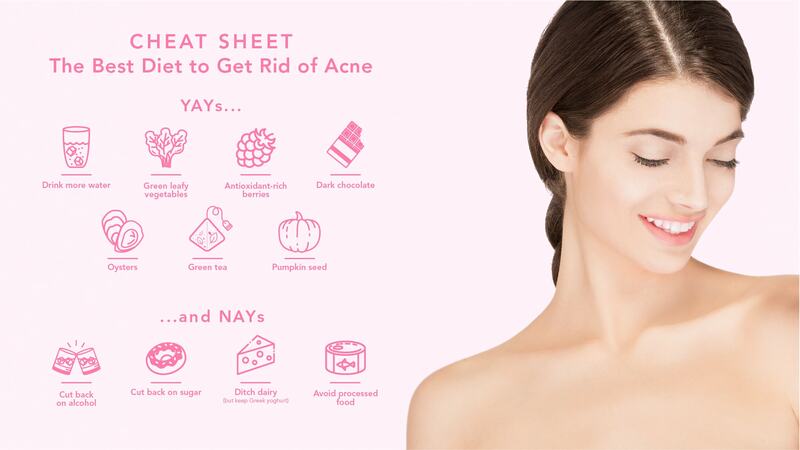 But before we get into the recipe for an acne-free diet, let’s start with the basics. Acne is a skin condition in which pores become clogged with dirt, oil or bacteria, causing inflammation. There are many contributing factors to acne, but the main culprits seem to be excess sebum, hormones, and bacteria. 3. How are diet and acne related? What you eat affects how your body functions overall, and your skin is your biggest organ. So it stands to reason that what is good for acne isn’t much different than what’s good for a healthy body overall. Enter the acne diet. Staying hydrated is nothing more than Nutrition 101. After all, your body is 60 percent water, so it’s no surprise you need to drink enough water to optimize physical processes. Drinking water is also key to consuming the correct amount of daily calories – often we mistake hunger for thirst, so when in doubt drink water first. Water is the foundation of healthy, clear skin so aim for 8 glasses of water every day. Sugar is decidedly not a part of any acne diet. Unfortunately, it’s in just about everything we eat, all day long, making it difficult to avoid. Keep your daily sugar intake within the recommended two to four servings of the fructose found in fruit, and avoid sugars found elsewhere, like in refined carbohydrates and candy aisle sweets. Sugar, particularly from certain sources, can exacerbate acne – and cause a whole host of other health problems. Most alcoholic drinks are super sugary, and thus bad for you. Then there’s the simple and stark fact that alcohol is literally a poison you are choosing to put in your body (and probably paying good money for) that can cause heart disease, stroke and dementia – just to name a few nasty side-effects. Forget your skin – just about every organ in your body hates alcohol. So if you do drink, do so in moderation – and drink lots of water to mitigate alcohol’s effects. Processed foods tend to contain more sugars, salts and fats than we need, while meals you prepare with fresh ingredients at home tend to be healthier because you can control what you put in. It may seem difficult and more costly at first, but once you have stocked your kitchen with the basic cooking ingredients you routinely need, you’ll find that cooking at home isn’t just healthier, it’s also cheaper. You’ll never return to eating from packages again. Dairy is high in sugar content (yes, lactose is also a sugar, just like glucose and fructose). Specifically, though, dairy consumption has been linked to increased acne. Although dairy is high in nutrients our bodies love – like calcium and protein – food from animals may not be the ideal source of protein, as study after study has linked animal-based proteins to higher incidents of cancer. The science isn’t totally conclusive, so you don’t have to swear off meat and cheese forever, but certainly doctors now agree that decreasing your intake of animal proteins in favor of more vegetables is a good idea, for your skin and otherwise. You don’t have to strike dairy from your list altogether: try a sugar-free (or as close to sugar-free as possible) Greek yogurt as a source of calcium, protein and probiotics. Recent fad diets like the alkaline diet have advocated for regulating your body’s pH by consuming a greater amount of “alkaline foods” and reducing your intake of “acidic” foods. The truth is, our bodies already regulate our internal pH, but that doesn’t mean this diet trend isn’t on to something with its promotion of more veg. Proponents recommend beets, broccoli, cauliflower, celery, cucumber, kale, lettuce, onions, peas, peppers and spinach. It’s not rocket science – the more vegetables you incorporate, the clearer your skin and the healthier your body. Acne diet for the win. Like vegetables, the more antioxidants you can eat, the better – especially if you struggle with acne. A diet rich in antioxidants can decrease mild to moderate acne. 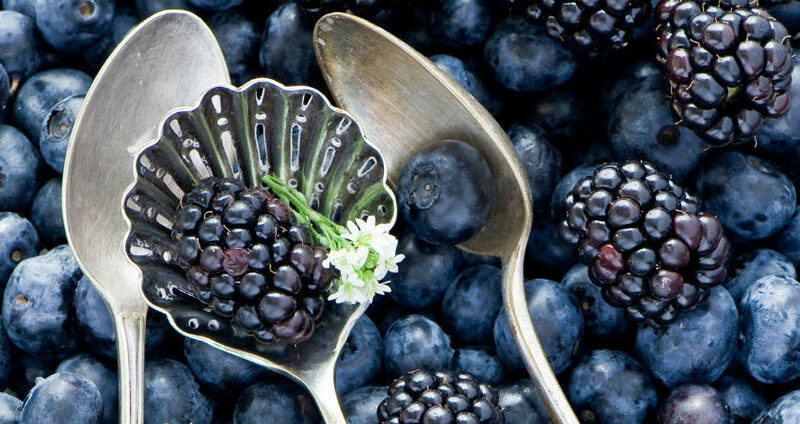 Good thing berries are so delicious – try blueberries, blackberries, cherries and goji berries. 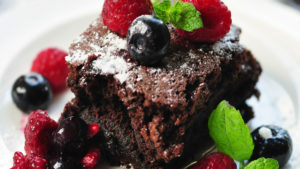 Unwrapping the Myth: Is Chocolate Bad for Your Skin? Dark chocolate is the healthiest kind of chocolate you can try. (It’s relatively low in sugar and depending on the kind, contains very little to no dairy.) It also contains zinc, another acne-fighting nutrient. Happily, it’s also delicious, so go ahead and treat yourself (in moderation, of course). Oysters are famous aphrodisiacs, but their zinc content is through the roof, so depending on what you’re looking for, oysters can meet all your needs in one meal (wink). Just make sure your oysters are sustainably farmed. Not a shellfish fan? No worries, you can find zinc in plenty of other places. For your daily dose of zinc, sprinkle some pumpkin seeds on top of a salad or munch on them at work as a snack. Try incorporating green tea into your diet – it’s rich in polyphenols (poly-what?). Don’t worry about pronouncing them, just know that polyphenols increase blood-flow and oxygen to the skin, improving its overall look, feel and most importantly, health. Still can’t get rid of acne? If the acne diet isn’t quite doing the trick, treat yourself to the blemish-fighting power of the ESPADA blue light acne treatment. 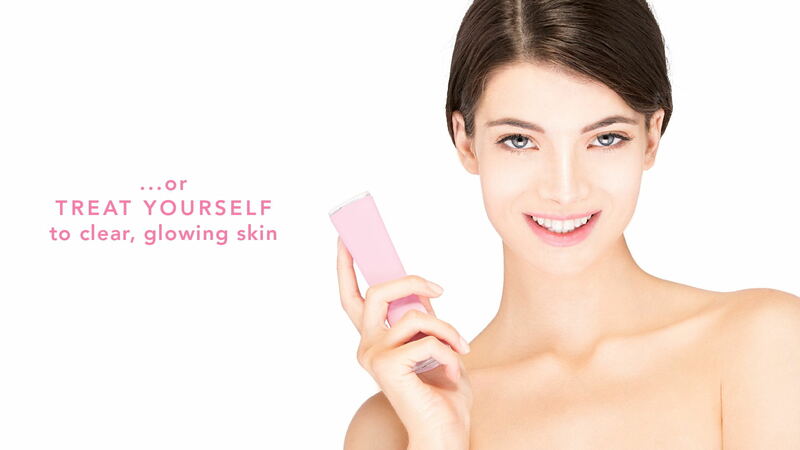 Clear breakouts quickly, eliminate acne-causing bacteria, and give yourself the gift of beautiful, healthier-looking skin. Yayyy!! Now I can have dark chocolates without being concerned about my skin. Thank you for the post. It most likely is hormonal acne. I went through the same thing at you age. Don’t worry it will eventually get better. But if it doesn’t there’s always acne medications like Accutane. My acne took a while to go away and i took Accutane for 5 months and it completely went away and i havnt had a pimple since. Also ask your parents if acne runs in the family. If it does, you have your answer. Great Article, Thanks for sharing the excellent Information. WOW! I loved reading this. Truly inspiring.